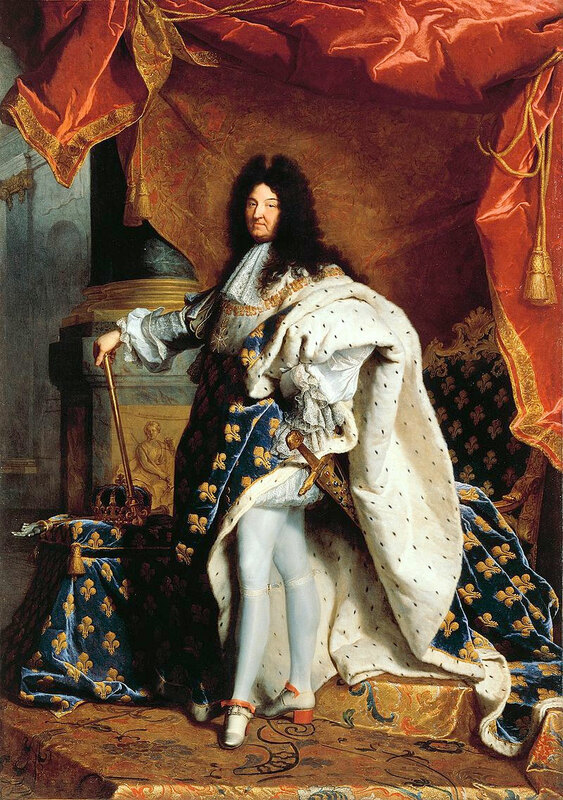 Louis XIV, painting by Hyacinthe Rigaud (1701). History and myth seem to meet somewhere in the times of Louis XIV (1643-1715). Those who wrote about the monarch, the Sun King, described him as tall and handsome, with a stature worthy of his status. However, in the Musee de l’Armee in Paris, there is an intricately ornate suit of armour from 1668, presented by Venice to the “Great King” for his victory in Flanders over the Spanish. This suit of armour belongs to a person no taller than 1.62 m. How then did the king appear tall to his contemporaries? The answer lies in… fashion. Louis XIV wore huge wigs. He had a suitable one for each occasion, made by Binet his hairdresser and brilliant craftsman and a special room for storing them.The wigs were monumental, with frizzy hair framing the forehead and cheeks and falling down the back and chest, ending in curls. Likewise, the Sun King made it fashionable to wear shoes with heels as high as 8-11 cms, also worn by his courtiers. In this manner, he gained 11 cm by his shoes and 15cm by his wigs (i.e. in total 162+ 11+ 15cm) giving the impression that he was 1.88m tall, very much above average! In addition he was definitely given extra glamour by the feathers in his hats that also gave him extra… height.